Performer’s Workshop - Members of the Schubert Club and guests, are welcome to attend any of the workshops listed below. These chamber recitals are held at different venues, Senior centers, libraries, private homes, etc. We invite you to perform a piece you are working on, explore a new work, or simply share in the enjoyment of listening to fellow members of the club perform in an informal atmosphere. Soloists may perform for up to 10 minutes and duos and ensembles may perform up to 20 minutes. Refreshments are served after the performance, for a fun social time. Chorale - The Schubert Club gives back to our community by presenting concerts featuring the chorale at senior centers, libraries, and retirement communities throughout Fairfield County. 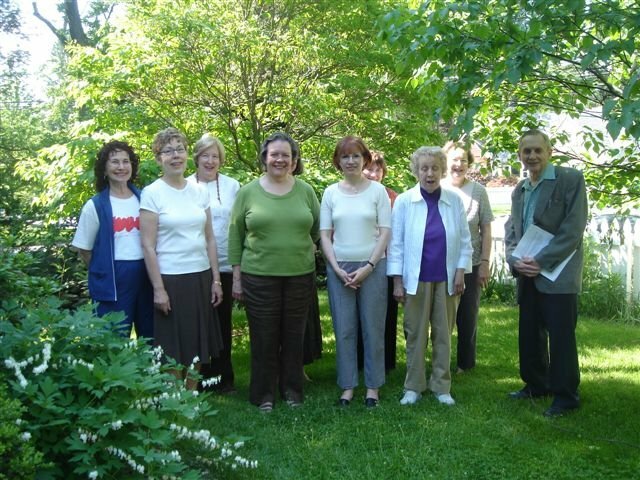 The Chorale has been a vital part of the club since its beginning in 1910. The group rehearses weekly from October through May, preparing a holiday program for December, and a program in the spring. We have weekly rehearsals at Union Memorial Church in Stamford. Chorale membership is open to all who enjoy ensemble singing and good fellowship. Solo Singers in Ensemble - Are you a vocal soloist looking for more opportunities to sing and looking to form an ensemble? Works performed within this group include song literature of all periods and styles, and works ranging from opera and oratorio to Broadway. Each concert event usually attracts approximately 30 singers with piano and/or instrumental accompanists. All are welcome! Duo Pianists - The Duo Pianists began performing together in 1968 with Juliet Shaw as its musical director. Now under the direction of Sandra Shaw Murphy, the duo pianists rehearse on Wednesday mornings at the Silvermine School of Music, 36 Comstock Hill Avenue, Norwalk,CT. Whether you are playing 4 hands on one piano or with two pianos, it is a great way to maintain your piano skills while enjoying the camaraderie of fellow members of the club. Their culminating concert is held in the Spring of every year. If you are interested in joining please contact Rita Lapcevic for more information. Piano Ensemble Group - The Schubert Club Piano Ensemble group provides a venue for collaborative music making. We have occasional meetings and practice “play-ins”. For the most part, we have piano ensembles (2, 4, and 8 hand) on one piano or two. Instrumentalists are occasionally added and are most welcome to attend our meetings. We host a professional coaching annually by David Wehr which we find most valuable in preparation for our annual Piano Ensemble Concert. SC Juniors - The purpose of the Schubert Club Juniors is to educate young students in the art of performance and to provide them with an opportunity to play before an audience in a supportive non-competitive atmosphere. Participation in these concerts is open to any school-age student (up to and including senior year in high school) whose teacher is a member of the Schubert Club. These concerts are not adjudicated, there are no dues or registration forms to apply. Students who participate in other Schubert Club events, recitals, YMF festivals or Awards Competition etc., are considered members of the Schubert Club Juniors. We welcome all students to attend and participate in these concerts. Awards Competition - The Schubert Club’s annual piano competition provides music students of school age the opportunity to compete for prizes and scholarships for musical achievement. There are 3 age levels within each category. Winners of the competition perform in a public concert. In addition, students going on to study piano at the post-secondary level may apply for the Schubert Club Achievement Award, formally called the Shirley R. Koffler Memorial Piano Scholarship, offered annually by the club. An endowment has been established to help provide this award. Piano Teachers’ Roundtable - An informal forum for discussion of topics related to studio teaching, of sharing discoveries, and supporting professional growth. These meetings are open to all teachers of all musical instruments. All Schubert Club members and guests are invited to take part in these lively exchanges. Coffee is served at the meetings, and all meeting are free. Early Music Ensembles - The Schubert Club Early Music Ensemble was formed in 2011 by a group of singers and instrumentalists interested in studying and performing music that dates back to the Baroque era and earlier, prior to 1750. The music the ensemble performs will include different categories: classical music; church music; and traditional or folk music. Some of the music dates back to a time before music was formally notated. If you are a vocalist or an instrumentalist interested in joining the ensemble please contact Kumiko Imamura. 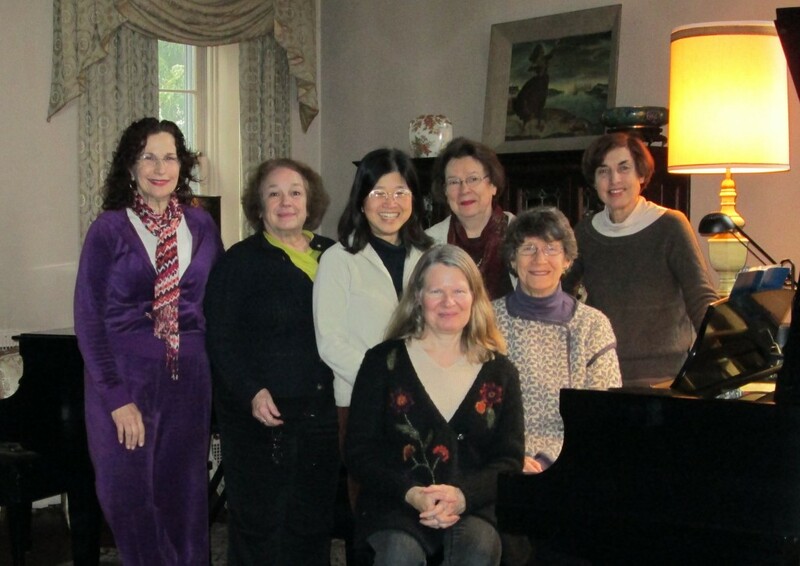 Musical Services - Members of the Schubert club donate their time and talent to perform concerts for the Fairfield County community. The recitals are held in various venues including senior residences, civic organizations, churches, libraries, etc. Members are encouraged to participate in this worthwhile and satisfying community activity. If you would like to give a full recital, or want to participate in a join recital, please contact Justine Macurdy or Moira Schur Craw.